Whin Cottage is a delightfully upgraded detached farmhouse set in open countryside above the hamlet of Sliddery. 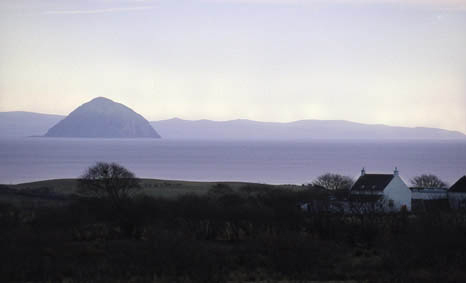 A cosy home from home on the south coast of Arran, the cottage can sleep up to six people in three bedrooms and benefits from views over the rugged South Arran hills. The garden is mainly lawned with a patio and outdoor furniture. There is a full-sized table tennis table in the adjoining barn, where you can also store bicycles or other sports equipment. 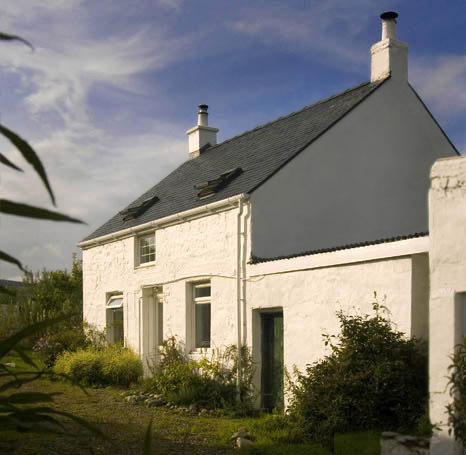 Cars can be parked under cover or on the hard standing at the side of the cottage. Our local beach is a three minute drive or fifteen minute walk away. Our cottage is an ideal base from which to cycle, walk, enjoy the abundant wildlife, tour ancient sites, enjoy quiet and beautiful sandy beaches or just soak up the peace of the countryside.